These two sides have only been opponents in one season before and that was in the 2012/13 Euroleague campaign. That time, Milan won both of the games, so they hold a 2-0 record in the series between these sides, a run the hosts will want to extend and a run the away team will be desperate to end on Thursday 5th November. Milan, like their opponents are in the bottom half of Group B and both teams are stuck on a 1-2 record. 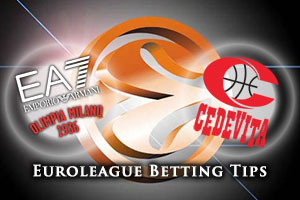 The hosts head coach, Jasmin Repesa, spent two years on the Cedevita bench, so he will be doubly determined to get one over on his former employers. While Milan are toiling at the moment, they have had some big performances from players like Milan Macvan and Alessandro Gentile so far this season. If these players can step up on Thursday night, they should give the home fans plenty to smile about and push their team higher up the Group B standings. The visiting team know that they face a difficult challenge in Milan on Thursday night but on the back of a win in Round 3, they will view this as an opportunity. Miro Bilan and Jacob Pullen have been instrumental for Zagreb so far this campaign and if they can offer big performances, this could be a game that is snatched by the away side. Other key players who need to turn up for Zagreb include Nemanja Gordic, Luka Babic and James White. If these players are on form, this might run away from the hosts, giving Cedevita a push up the rankings. 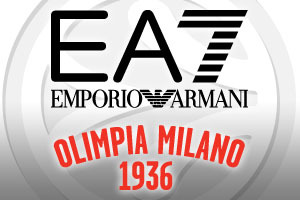 The hosts are well liked by the bookmakers for this game and taking EA7 Emporio Milan at -7, at odds of 1.90, isn’t a bad bet at all for this midweek’s basketball betting actions. When it comes to the Over/Under market, look to go OVER 149.5 at odds of 1.90 on Thursday night. Bet Now!